What Goes Around Comes Around. As you sow so shall you reap. The pleasant aftermaths of Karma. Put goodness out into the universe and it will return to you tenfold. Be a stinkweed and you’ll wind up in the compost heap. I like those philosophies. But I am also beginning to like ditties like Revenge Is A Dish Best Served Cold, and I’m Gonna Get You, Sucka. It’s human nature to want to hurt the other person/parent/group who took advantage of your illness/ineptitude/good nature. There is perverse pleasure in thinking about making “the other guy” pay for whatever indignities they lumped upon you. The majority of us never act upon the impulse of revenge. Except for movies and TV, extreme violence never gets you where you want to go. An easier way of releasing our anger is running ten miles or chopping carrots with a meat cleaver. Because the baddies never really “get it”, their egos will always tell them it’s the “other guy’ who’s wrong. The “other guy” started it. The “other guy” is only getting what they deserve. And if you are that “other guy,” you’re sunk. I swam through some murky waters this week. Pedestal Poser I am not. I often get myself into “situations” that have only one way out. And that way is not the rose-petal-covered-path way. But sometimes I feel the lesson is more like a class in Nuclear Physics rather than Art 101. That no matter what I do the outcome will always be the same. Goliath 1, Weird Woman 0. Now, this might sound like a plea to the audience for sympathy or empathy. Maybe on some super sub level it is, but it is more about moving past the meat cleavers and voodoo dolls and grabbing hold of the things that mean something to you and keeping hold. If you only allow yourself to get past the anger and broken hearts and bruised egos, you will find just as many wonderful things ahead of you as before the bump/crack/ravine in the road appeared. They’ve always been there. You’ve just let someone else’s failing ego block the way. It’s not about who is right and who is wrong. In the mind’s eye we are always right. But true class, true enlightenment, allows the other to be right once in a while, too. We don’t have to belittle or browbeat a situation to try and make it right. Sometimes a clear head, a walk through the woods, a funny movie, or a glass of wine with a friend soothes the most raggedy heart. If you are beating the brow of someone else because they are not doing it “your way,” stop it. The world will never spin the way you want it. So move on. If you are walking the edge of right and wrong, stop it. Pick one side or the other and just get on with it. Your payback will come in a form that reflects the choices you’ve made. If you believe you don’t deserve your fate, stop it. You do. Your future, your fate, has brought you to this moment. Right or wrong, it gives you a chance to make yet another choice. If you want to deal with more confusion and trouble, fall on the weedy side. If sunshine and vanilla ice cream are more your forte, do what’s right. Don’t know which way to fly? Find a friend. Blow off steam with someone who is there just for that reason. Hate your boyfriend? Your parents? Your job? Tell it to someone who accepts you for you. They love you because of your morals, your ideals. Your quirkiness. And they often know what you need to sweep your sidewalk clean. Their honesty in supporting you comes from the belief that you won’t let them down either. And somewhere in the exchange of thought and feelings and pain, an answer comes. Back to Karma. I do believe in Karma. I have always been a good person, and I have been rewarded with good people around me all my life. I have survived my ups and downs because I have found it’s much more fun to play in the sunshine than down in the troll hole. For you know what happens to trolls when the sun comes out. Now THAT would be Karma. Hi Claudia! This is a great post, and I agree with you. I would have probably lost my mind a long time ago if I didn’t have my husband as a sounding board. I had an experience like itty’s. I had intense anger once for nearly two months. It usurped every waking minute of every day. One morning, I woke up and it was gone. Simply gone. Two weeks later, I started writing my books. 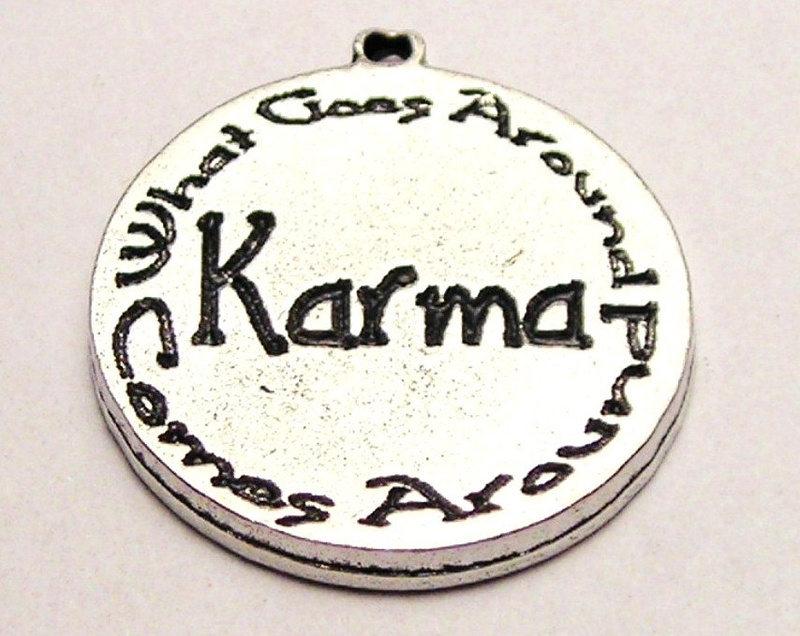 I believe karma will take care of the person who wronged my family. Thanks Maddie for letting me I’m not alone. I talked to someone today in a place of authority, and, although nothing is “happening”, it instantly made me feel better. The darkness just disappeared, just like you said. Life’s too short to let someone else run yours for you. I know…I know. Sometimes it’s frustrating not to have more power. I guess we’ll just have to settle for…the power of words. I think you are the best, Itty I don’t do well with nominations because I don’t follow a lot of blogs…not that I don’t WANT to…but geez louize ….I just don’t have the time to honor other writers like I should. (I don’t even follow 15 blogs). But you deserve the nomination AND the award (if there is one)! Personally I’ve spent the last ten days “chopping carrots with a meat cleaver.” It’s been the weirdest experience, then one day without warning, the angst and anger just disappeared; it must have cycled in one side, hung out a while, then gone wherever bad stuff goes when it’s not having fun anymore. I have to admit, I’ve never been happier to see anything go than I was when whatever that was decided to leave, mumbling under its bad breathe as it slammed the back door! Thanks, itty, for letting me know Im not not the only chopper. Some things eventually go away…others not so easily. But those who cause the most grief will eventually catch the back wave of karma.. Check your email; I finally finished the note I started writing to you last week. Any comment on your nomination? You don’t have to do it if you don’t have time. But I couldn’t ignore your blog; it’s too good.